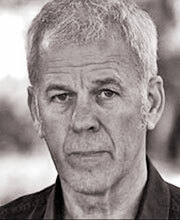 Sam Dale has over 40 years experience as a professional actor. He was a member of the BBC Radio Drama Repertory Company (‘The Rep’) on two occasions, which led to a host of productions for Radio 4, including On Mardle Fen, Fortunes of War, The Divine Comedy, The Compete Smiley, I Claudius as well as numerous novels by Raymond Chandler. For Radio 4’s ‘Book of the Week’, he has read Jennifer Johnston’s Shadows on Our Skin and two volumes of Chris Mullin’s diaries. Other audiobook work includes Jonathan Franklin’s The 33.